The club has been a member of the Football League since 1905, and the best result in Division one is the 16th place in 2013-2014, in their second session in the Premier League. The best result in the FA Cup was for a long time the semi-finals in 1930 until they reach the final in 2014. They are also known under the nickname The Tigers. 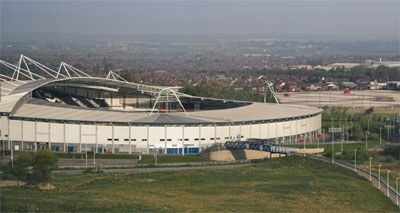 KC Stadium a.k.a. Hull City Stadium. Hull City Associated Football Club was founded in 1904. The team played at the local rugby team home ground until 1946. The club should not be confused by an earlier existing club called Hull Town.